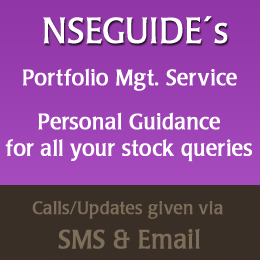 Your Queries > Buy | Sell | Hold a stock ? More than 200,000 Queries replied and counting.. Confused whether it is the right time to buy a stock, sell a stock, enter into the market or any Stock Market related queries. If yes, the please feel free to post it in the form of a comment. I will try to give you the best possible strategy on your Stock or Market, but at the same time I also expect you to read our disclaimer. So feel free to go ahead and write a query. If you want to receive a email as soon as your query is answered, all you need do is subscribe to our auto email feature. Hello Sir , can I short shri ram transport . Ok Sir , Thanks Can I short HDFC. Sir, I have 250 BHartii Airtel shares, yesterday it suddenly fell by 9%, what will happen now? Can I see my 250 shares today and still participate in rights issue opening on May 3? Bought CENTURYTEX @ 905. Its going down. Can i add more(@ what price) or hold or book loss? CB, replies: Hi svsquare, its a hold for now. dont add more of it yet. GE CB Sir, What�s the target for coal India, HPCL, Wipro & Voltas on tomorrow. Thanks & Regards.